Please make certain you are using a NEW copy of ATSSB All State Jazz Audition Set “C” from Mattei Music. The audition material has been edited this year. Prior editions are incorrect and will probably not line up with the recorded tracks. Also please make certain you are NOT using the MIDI track accompaniments. All accompaniments should be from the CD, furthermore, they should be marked as “AUDITION CUTS” for the specific instrument. Printed audition parts are marked as such. Please do not use any of the parts marked “NOT FOR AUDITION”. David Lown is a graduate (M.M., B.M.) of the University of North Texas, where he performed for three years with the acclaimed One O’Clock Lab Band and directed the Four O’Clock Lab Band. While a member of the One O’Clock, Lown toured Scandinavia and the Southwest U.S., recorded a live album with Kenny Wheeler, and performed with many other artists such as Michael Brecker, Joe Lovano, Bill Watrous, and Tim Hagans. In 2002, Lown was the winner of the North American Saxophone Alliance Jazz competition and was named Outstanding Graduate Student in Jazz Studies. After graduating from UNT, Lown worked actively as a saxophonist in New York City for several years, performing with the Dave Liebman Big Band, Bill Warfield’s New York Fusion Ensemble, and many others. Lown has recorded professionally with many artists and ensembles, including rock group Bowling for Soup (Rock On Honorable Ones; Jive 55531), the Dave Liebman Big Band (Live – As Always; Mama 1039), The Steve Haines Quintet featuring Jimmy Cobb (Stickadiboom; Zoho 200903), and the Stockton Helbing Quartet (Patina; Armored 8040). 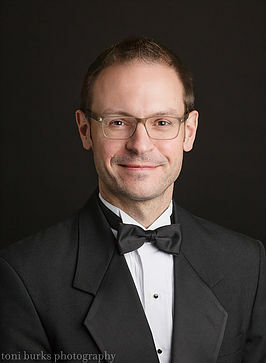 Mr. Lown has directed the jazz program at Carroll Senior High School in Southlake, Texas since 2008. Under his direction, Carroll Jazz Ensembles have been named national finalists at the prestigious Essentially Ellington competition for 2010, 2014, and 2018. In both 2010 and 2014, the Carroll Jazz Orchestra received the Outstanding Brass award. Lown’s top Jazz Ensemble also earned the honor of Texas Invited High School Jazz Ensemble in 2013, and all three of his curricular jazz groups have won numerous first place trophies at local jazz competitions over the past seven years. 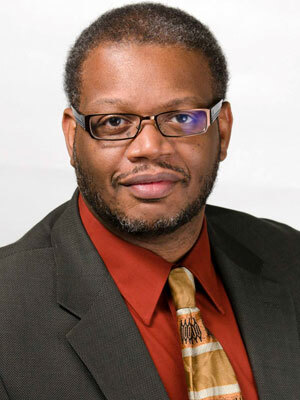 Lown was named Carroll Senior High School’s Teacher of the Year for 2013-2014, and was elected President of the Texas Jazz Educators Association in July of 2015. All recordings should be made so that the judges can hear both the student and the background tracks. Please use the appropriate track for each instrument as marked on the CD that came with your music set. There are various ways of recording your students that will yield an acceptable audition. I use a handheld digital recorder and play the accompaniment CD over the band hall stereo. A trial run will let the student know how to adjust his or her volume level. My recorder allows me to dump all tracks into iTunes, where I group them by student, select the appropriate tracks, make a playlist and upload the audition. Please remember to test-play all of your final audition once you have upload them to OpusEvent.